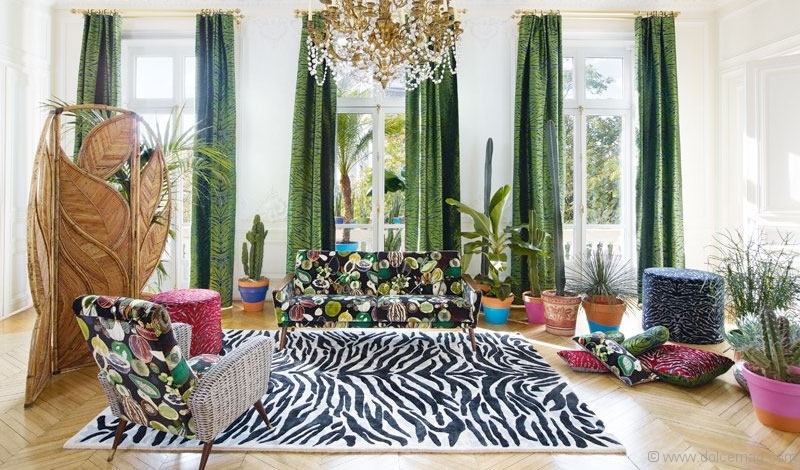 When one thinks of embellished, histrionic interiors that transform white spaces into magical settings, the house of Christian Lacroix instantly comes to mind. That’s because the couture label — born with an extravagant spirit and reared in fashion history and fantasy — continues to churn out topsy-turvy, hodgepodge patterns and experimental fabrics that have made the brand an international household name. 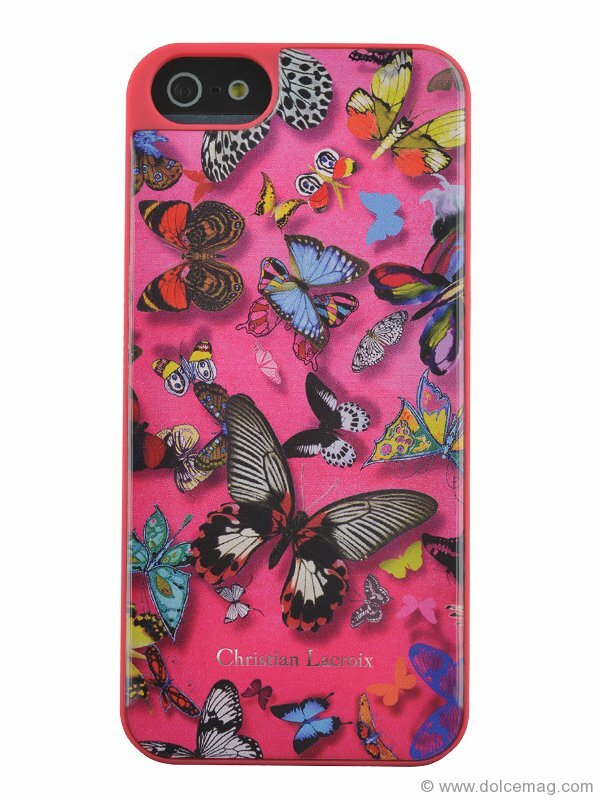 Since 2010, Christian Lacroix’s creative director Sacha Walckhoff has launched various lines of awe-inspiring home accessories. 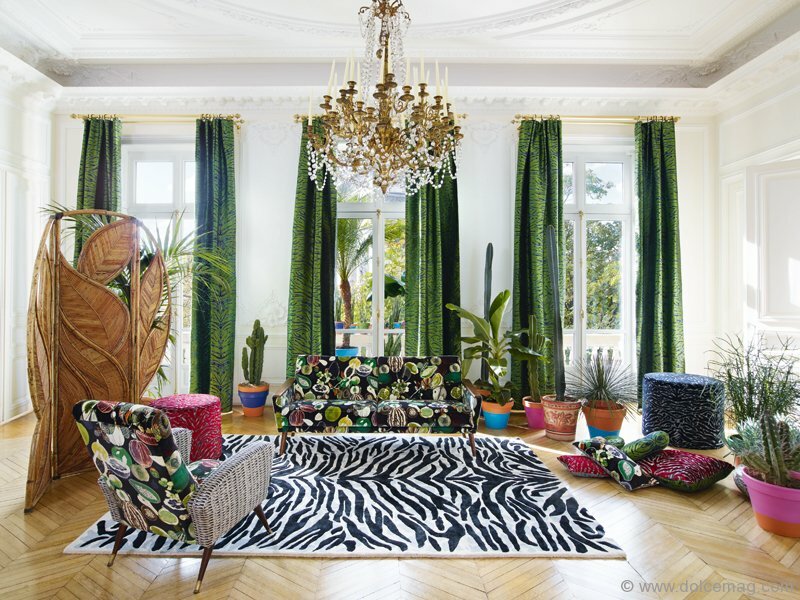 His latest work of genius unfolds in the spring-summer 2015 “Nouveaux Mondes,” a fabric and wallcoverings collection for Designers Guild that carries the signature feel and vibe of the exuberant French brand that favours hot colours and opulence in all of its various fashion and lifestyle ventures. 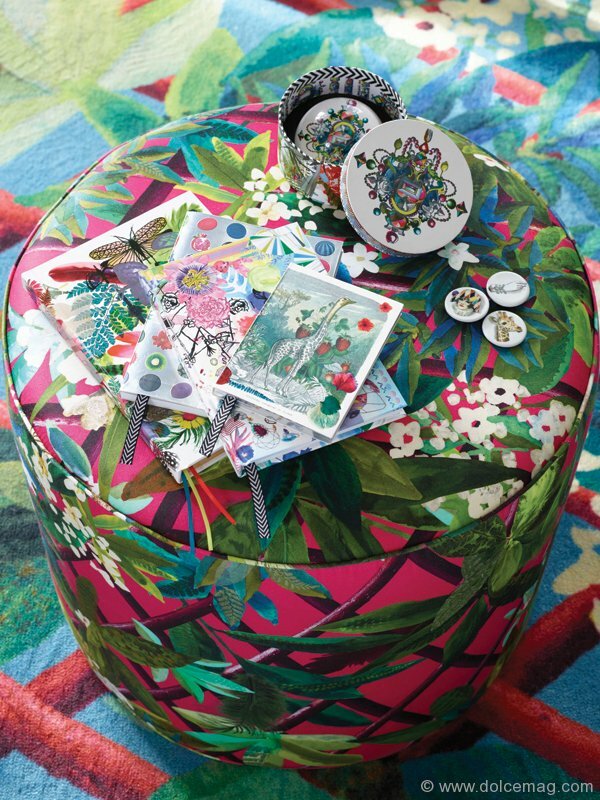 The new home collection bursts in a kaleidoscope of tropical flowers, feathers and foliage, ripened fruit, multicoloured insects and island motifs plucked from the lushness of a Caribbean paradise. 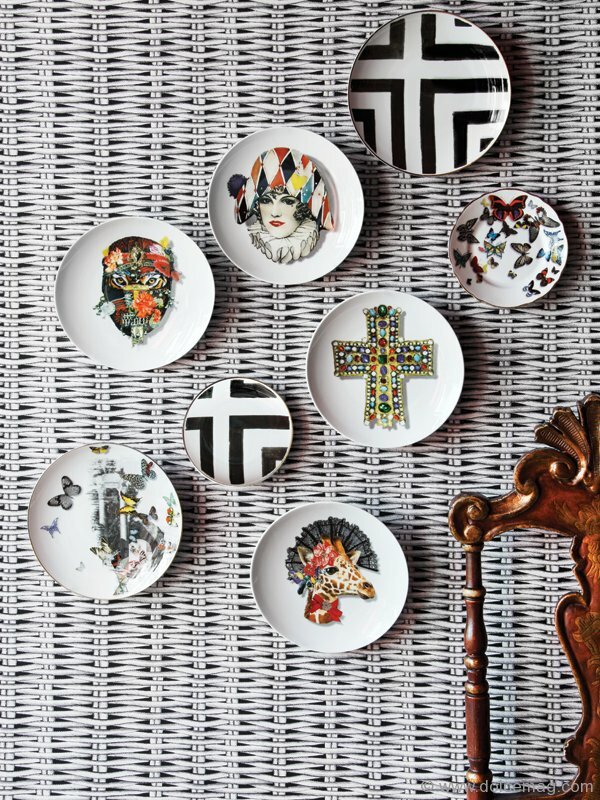 Lacroix’s porcelain tableware “Caribe” collection finds a seat at the table with its herbarium baroque mystique. 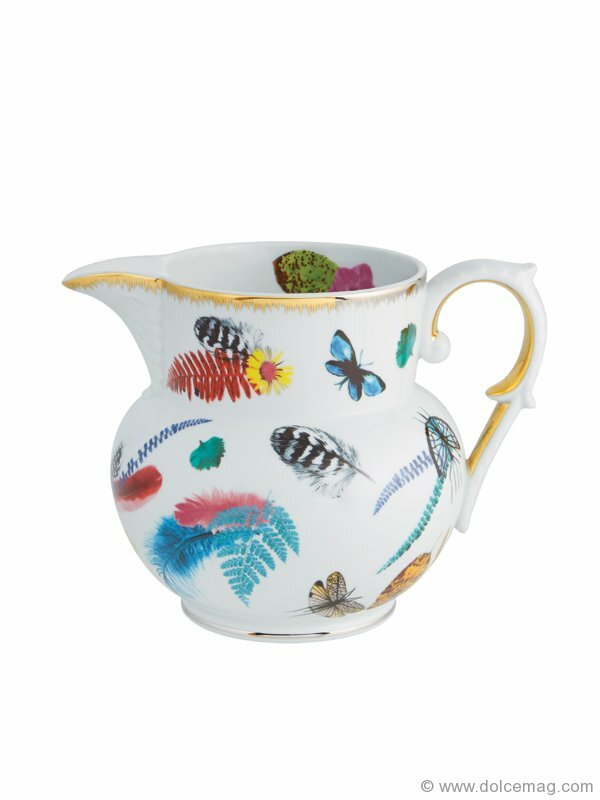 Think ferns, flowers and buzzing dragonflies that seem to land on porcelain wares adorned with gold and platinum outlines. A nod to the wild and wonderful, to the diverse and majestic, Nouveaux Mondes delves into an unexplored world that is just within reach of our imaginations.